The 75th remembrance program of the Puyallup Assembly Center begins on Sept. 2 at the Washington State Fair. In September 1942, the final incarcerees left the Puyallup Fairgrounds in Puyallup, Wash. The popular fair had been taken over by the U.S. military in April 1942 and turned into a makeshift community of forcibly removed people of Japanese ancestry following the signing of Executive Order 9066 in February 1942. The center’s first residents were Japanese Alaskans, who arrived by bus following travel aboard a ship that stopped at various Alaskan ports along the way. In all, more than 7,600 men, women and children from Alaska, Seattle, Fife and small rural areas of Pierce County called the Puyallup Assembly Center their temporary home before they were transferred to the War Relocation Authority camps at Minidoka, Idaho; Tule Lake, Calif., and Heart Mountain, Wyo., for the duration of World War II. Also known as “Camp Harmony,” the center’s barracks were designed to allow 50 square feet of space per person, along with one small window, an electrical socket and wood stove. Now 75 years later, the Puyallup Valley JACL is hosting the 75th remembrance of the Puyallup Assembly Center on the Washington State Fairgrounds, formerly the Puyallup Fair, where it all began. In cooperation with the fair’s staff and board, the program will begin Sept. 2 on the Coca-Cola Stage at 10 a.m. Lori Matsukawa of KING 5 News will serve as mistress of ceremonies and Densho Executive Director Tom Ikeda, whose grandparents were among those incarcerated at the Puyallup Assembly Center, will give the keynote address. This event is intended to honor all living survivors of the Puyallup Assembly Center along with recognition given to anyone who was incarcerated in any detention facility. Taiko drummers will then lead a procession to the George Tsutakawa sculpture “Harmony,” where a new plaque will be dedicated and unveiled by the Tsutakawa family. At the same location, banners of names will be displayed with all 7,600 names and family numbers of those incarcerated at the fairgrounds. While this remembrance event is for one day, the museum exhibit, which will house interactive exhibits and displays, will be open for the duration of the fair season, which runs from Sept. 1-24. 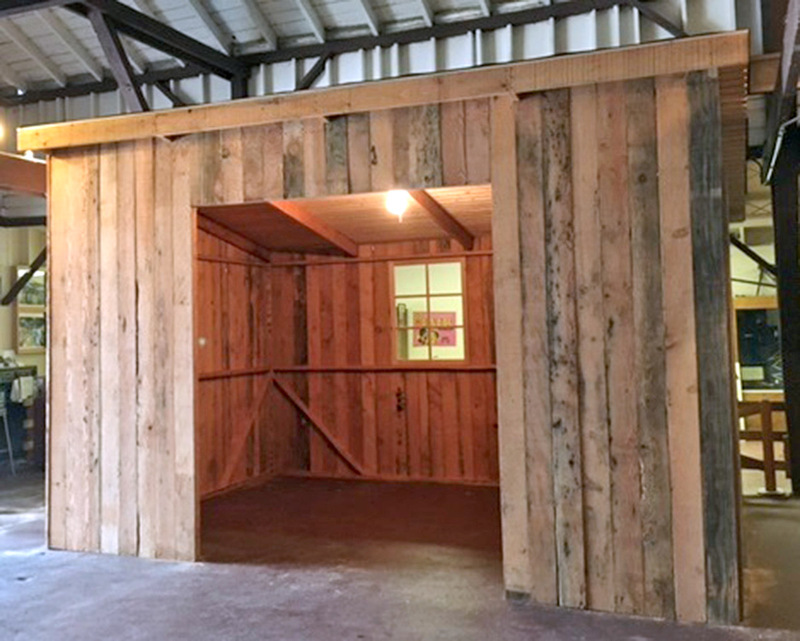 Replicas of a family barrack room and a horse stall furnished with period items will demonstrate to fairgoers the crowded and primitive living conditions endured by families incarcerated at the Puyallup Assembly Center. In addition, the video “The Silent Fair,” which features interviews with 12 former residents who were aged 4-18 at the time, will be played continuously inside the exhibit. And in an effort to teach and educate the general public, there will be interactive, hands-on activities for children and adults, as well as photographs and themed displays. All are encouraged to attend, especially Japanese American survivors and their families from all assembly centers, camps and detention facilities. For more information about this event and project, visit the Puyallup Valley JACL website (www.puyallupvalleyjacl.org). For complimentary tickets visit www.TheFair.org/pac.